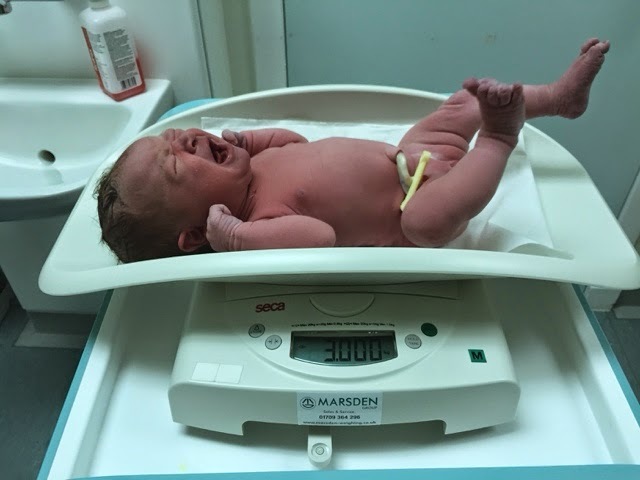 So I have shared my Birth Video with you all but I thought I would write my full Birth Story with all the details from my pregnancy notes so they are captured before the notes are whisked away & added to my medical file – never to be seen again! 8.30am – a few niggly contractions, I started timing them & they were coming approx 13 mins apart & lasting for 35 seconds. BP checked & sitting at 96… checked twice more within 30 mins & readings were 98 & 96. Cue hysterics from me as it dawned on me that the home birth was out of the window. My MW explained I needed to head straight into Aberdeen Maternity Hospital… more specifically the dreaded Westburn Ward you will have heard me mention time & time again in my pregnancy update videos. 1.30pm spontaneous partial rupture of membranes, contractions now every 6 minutes, sat on birthing ball with TENS machine on. 4.45pm Contractions getting stronger – at this point I remember wanting more pain relief and the words Epidural & Morphine were thrown around a few times. MW read over my birth plan & suggested I try a bath. Seemed like a great idea so they started running me a bath. Made way to bathroom with lots of stops for contractions on the way & needed support from Lee & Midwife to walk. Lee took over running the bath & I got in – lasted approx 10 mins in the bath & hated it – all I wanted was to be out & have my TENS machine back on. 5.15pm Contractions every 2 mins & painful – Labour Ward called to find bed. 5.40pm Arrived on Labour Ward, given access to Gas & Air and contractions now coming every 2 mins and lasting for 1 minute. I had a really lovely experience & every member of staff I encountered was lovely. I really couldn’t have asked for a better birth. 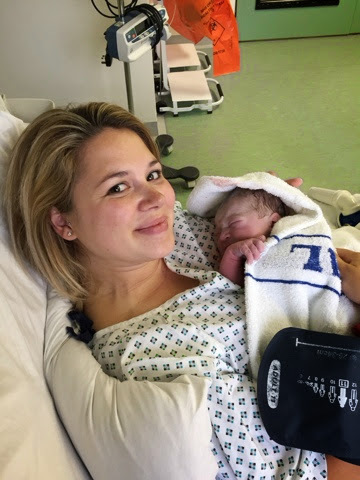 I had lots of cuddles in the delivery room & delivered the placenta quickly after Florrie arrived. I managed to breastfeed within the first 5 mins & had skin to skin for a full hour before having a quick shower & being transported up to a maternity ward. By the time I got up to the maternity ward it was approx 9.30pm, I got straight into bed, Mr Meldrum had a little cuddle with Florence & then he headed home. We were discharged Sunday afternoon after all necessary checks had been done on Florence & I and my BP had come down enough for them to be happy to let me go.